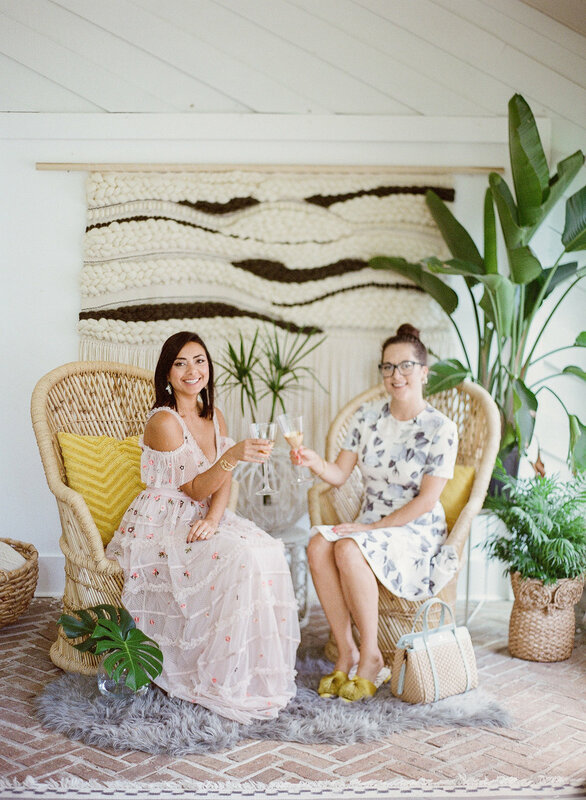 As part of my recently founded partnership with my friend Andrea of Charleston Shop Curator, “The Curated Weekend” is our joint venture that allows us to team up to create content for brands we love. It lights us up to share about other local businesses and to inspire other women as much as possible! 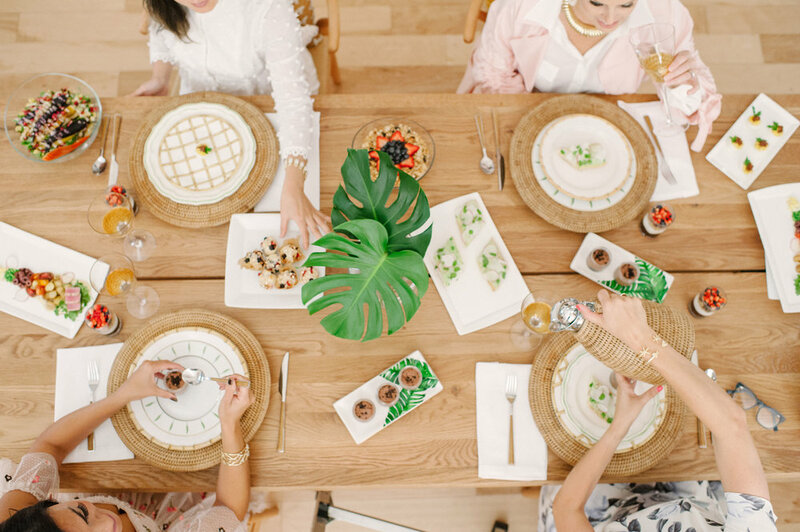 We love a good theme, so we came up with an idea for a different spin on a Bridesmaids Luncheon for a recent issue of Charleston Weddings Magazine. Read more about that Golden Girls themed bridesmaid soiree here, or scroll on down to see how to execute a “Thank You For Being a Friend” party any time of year! This post is created in partnership with the brands mentioned below, but we hand selected products and highlighted companies we truly adore! The beautiful cards we used as invites were created by our very own “Dorothy” model, Danielle Fabrega of The Town Serif. Instead of a formal invitation, just write a personal note inviting your girls to join you for a fun gathering and that will be one invite they won’t want to pass up! It’s always adds a delightful sense of celebration when you offer a dress code, no matter how casual or formal your event. You can opt for a slumber party with sweats and pjs attire for a friendly fiesta, or don caftans & coverups for an afternoon pool party. We decided to get a little bit gussied up for our “ladies who lunch” vibes. Beckett Boutique outfitted all of us with some styling help from Andrea Serrano, and we wore outfits that we imagine the Golden Girls would have rocked if they were modern day thirty- & forty- somethings like us! Left to right we have our modern day Blanche, Rose, Sophia, and Dorothy. Beckett Boutique is located on King Street, just north of Calhoun, and is a bright and airy shop we know you’ll love! In addition to the lovely attire they offer, you’ll find some beautiful jewelry there; a mix of offerings with everything from local designers like Hart Hagerty, and other bold vintage statement pieces like this gold necklace. 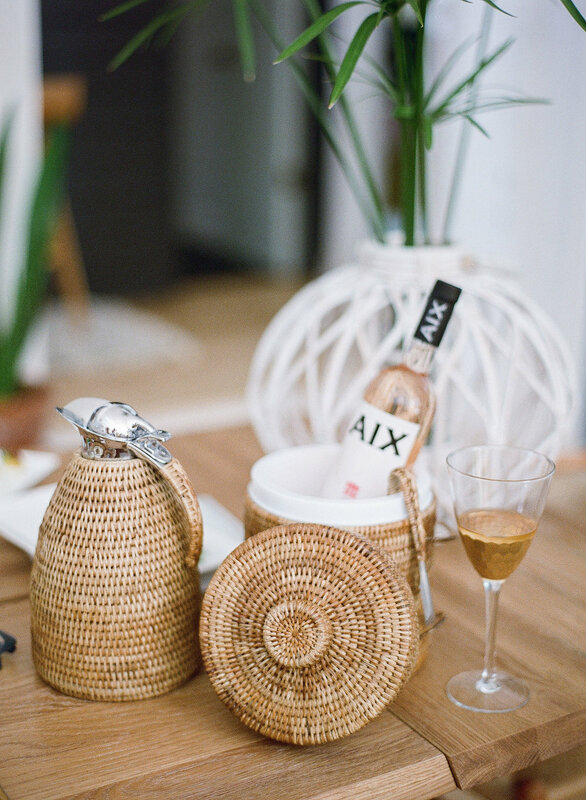 Wicker & rattan have been a trend that thankfully seems to be sticking around, so we kept our food and beverage accessories cohesive with a lot of these natural elements from Vieuxtemps. 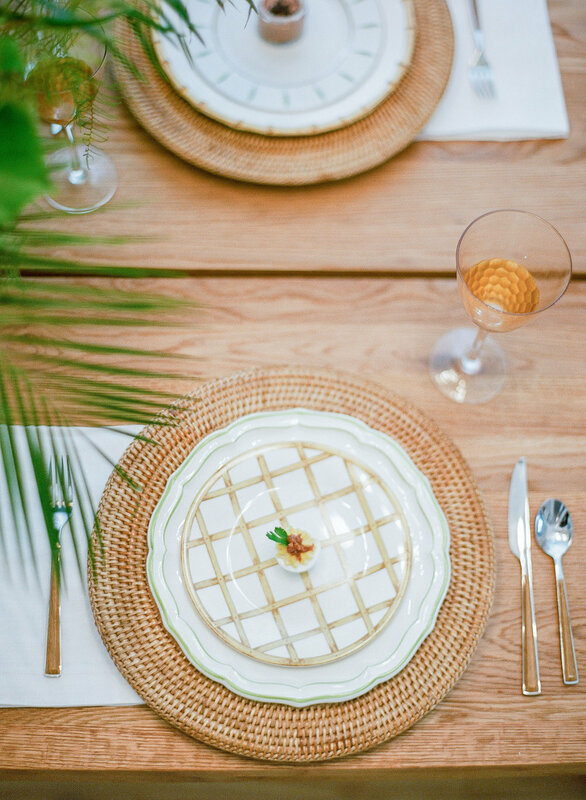 We thought it would be neat to add some of their dinner plates in complimentary patterns for a fun mix and match effect. 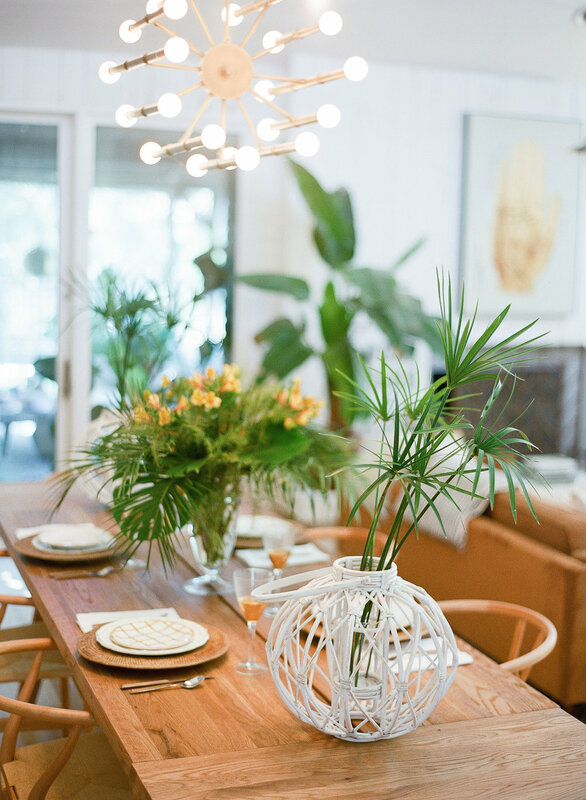 Always the fan of a pop of color, we incorporated some hints of green throughout our table scape. For all of you brides to be out there, these items are all available as part of the wedding registry service Vieuxtemps offers, but they make great additions to your bar cart or china cabinet! Hamby Catering & Events is hands down one of the best catering companies in Charleston; I’d love to get married all over again so I could have an excuse to use them for a reception! They have it down to a science when it comes to executing the perfect combination of a delicious menu that is a little out of the box. My favorite part of our meal was Hamby’s modern spin on the popular Salad Nicoise (which incorporated fresh, seared tuna instead of the traditional tuna salad that was popular during the Golden Girls era). 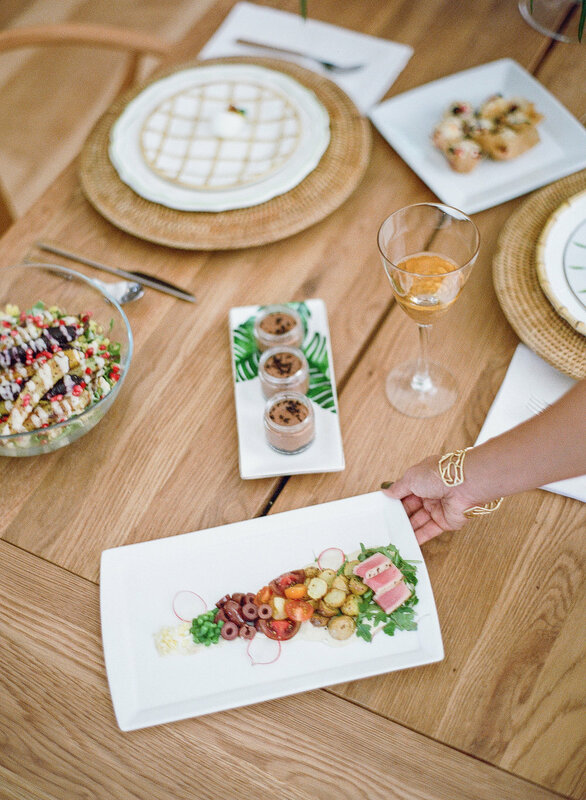 By serving a light and elegant veggie-heavy menu, the table becomes so much more colorful, and as a bonus your guests can truly indulge and linger over the meal without needing a nap afterward! That’s not to say we didn’t enjoy a little dessert (cheesecake for Golden Girls, of course! ), but consider serving a rich treat in a pre-filled dish for the perfect portion with less guilt. Serving a family-style menu is a fun and modern way to host a luncheon, and lends itself to a more laid back way of entertaining. 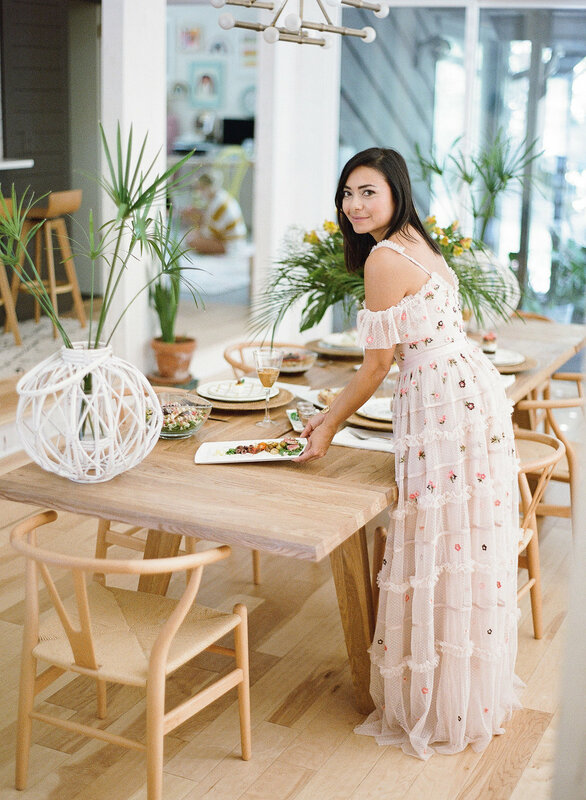 Andrea and I knew Celadon Home would be the perfect place to find some decor elements to give that extra nod to the Golden Girl’s abode of Miami, Florida. We incorporated white lanterns as extra vases for the long wooden table, found some fun planters like this owl basket to incorporate, and added a couple of peacock chairs for the perfect focal point for taking photos (because what soiree is complete without a couple Instagram-worthy scenes?!). 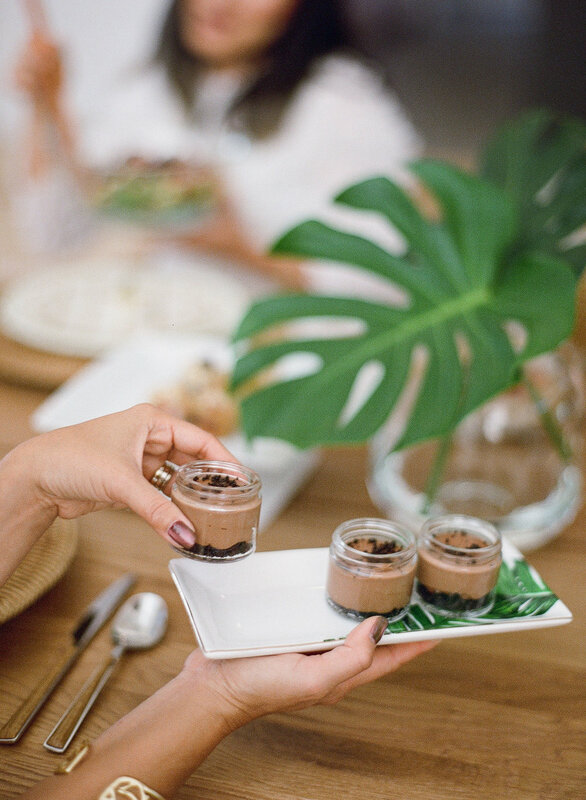 Whether you’re celebrating your bridesmaids or just gathering some gal pals, it’s fun to share special treats with your best babes! We picked Spartina 449’s Sea La Vie Say Thanks earrings & necklaces as the perfect “thank you for being a friend” gift table addition. Spartina 449 is a brand we adore that started not far from Charleston in Dafuskie Island, and Andrea and I got to visit their flagship store last fall. We also adorned ourselves with their jewelry for this shoot, and they keep adding to their line all the time! They also have really quirky & cute stationery, both statement and staple handbags, and recently started offering colorful clothing as well! We hope we inspired you to get your girl gang together soon, and see more from this shoot on my Instagram at #CHSGoldenGirls!